It even has a new luxurious trunk tailored to fit two champagne bottles and crystal flutes. The California edition C-Two also features a new luxurious trunk tailored to fit two six-liter champagne bottles and crystal flutes to “celebrate the elegance and vibrant atmosphere of the Monterey Car Week events”. The car is currently on display at the iconic Petersen Automotive Museum in Los Angeles until August 19. Rimac will also be hosting private previews of the C_Two at Monterey Car Week before joining the motorsport enthusiasts and car collectors on the rolling greens of The Quail – A Motorsport Gathering on Friday 24 August. The next day, the Rimac C_Two will be displayed alongside some of the rarest supercars in the world at Exotics on Cannery Row, the most anticipated event of the week. 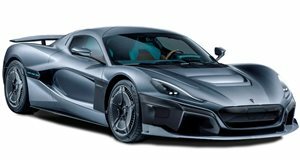 Rimac hasn’t said if any modifications have been made to the powertrain, but then again the C_Two isn't exactly underpowered. Four motors work together via torque vectoring to produce a combined output of 1,914 hp and 1,696 lb ft of torque. This quad-motor setup is powered by a massive 120 kWh battery pack featuring a liquid-cooled thermal management system. Rimac claims this setup enables the C_Two to rocket from 0-60 mph in 1.85 seconds, 0-100 mph in 4.3 seconds, and a top speed of 258 mph. It can also achieve a range of 404 miles on the European NEDC cycle. Production will be limited to 150 units, with prices starting at $2.1 million.